In fact, it’s Stefan’s Twitter bot templates that power many of the Twitter apps on Glitch. 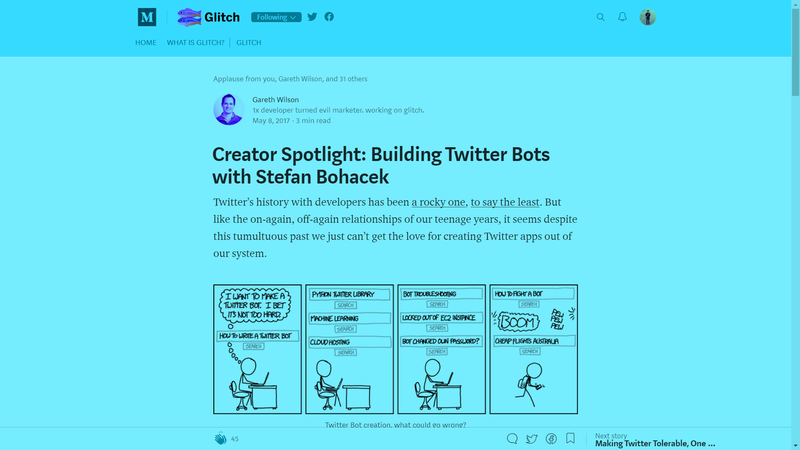 His templates provide a useful springboard to the throngs of devs who are eager to quickly create a Twitter app or bot on Glitch, and they’ve already been remixed by more than 350 other app creators. Here are my projects and you can also see Botwiki on Glitch.